João Bigotte is currently an assistant professor of Innovation and Technological Change at the University of Coimbra, within the scope of the MIT Portugal Program. He has more than 12 years of experience in innovation, having performed a wide range of activities both within academia and the industry – from research and technology transfer to innovation management and science park management. 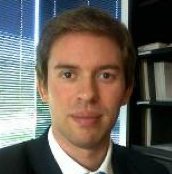 João has published in top scientific journals in the spatial planning and transportation fields. As an innovation manager has lead the creation of a new business unit for a niche market in the construction sector and built an international partnership for joint business growth. He is also familiar with the energy, transportation and IT industries. João is very active in building up and promoting an innovation ecosystem in Portugal.Besides being a mentor in several entrepreneurship and startup acceleration programs such as 3DS and INEO Start, he is also the founder of Choose Coimbra – the portal about the innovation ecosystem of the Coimbra region – an author at INEO Blog and a member of the editorial board at i9 Magazine. João is very much interested in creating more livable cities, in developing innovation ecosystems and in fostering university-industry collaborations.